Welcome to my artist website! Thank you for your interest in my work. I specialize in digital art, impressionist, abstract, photo manipulation and glitch art. I have also recently added digital mosaics and fractal art to my repertoire. My goal is to capture light, color and feeling rather than perfect details, being influenced by great post impressionist artists like Monet, Cezanne, Van Gogh, Matisse. Also by amazing abstract artists such as Malevich, Klee, Kandinsky and some unknown digital artists of this day that I have had the pleasure of meeting online. However when it comes to my abstracts I am trying more to blaze a trail with my own unique style than I am to look like someone else. Because of my special interest in wildflowers and study of plants, many of my subjects are botanical and specifically the local flora and fauna of my area here in Oklahoma. With each piece of artwork I try to include the story behind the art or a detailed description to help make the piece more interesting to you the viewer. I call myself an artist from the womb because I am convinced that if I could have gotten my hands on a crayon, I would have left graffiti on the walls of my mother's womb. I have been drawing on and painting things ever since I can remember. It is a passion and a gift that God gave to me and like many artists I had to put off seriously pursuing my art work until later in my life. I am hopeful that my love for creating art comes through and can be felt by the viewer! 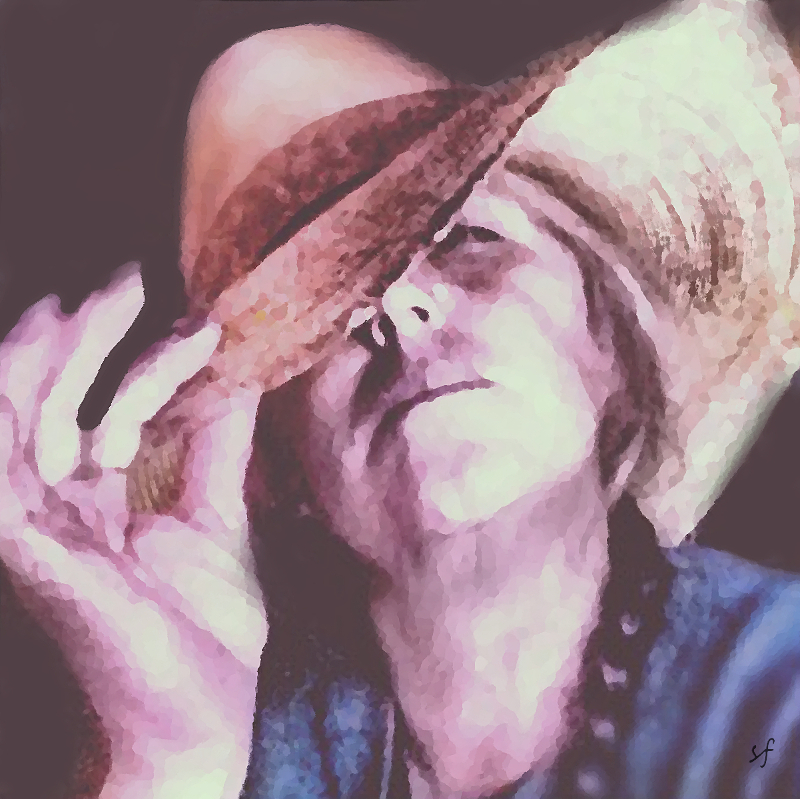 I especially love to create digital impressionist style art from photographs. Botanical, landscapes and abstracts are some of my favorite subject matter. I am also a shutterbug and much of my art is made using my own photographs. Most of my abstracts are made from scratch using my digital tools.